If you’re a first-time home buyer, then the FHA loan is a great opportunity for you. Call Redding Megastar, and we’ll figure out your options together. If you’re looking to invest in real estate, good options are available for financing. Megastar Financial is a very good choice for an investment loan, as we know the market locally and are willing to help customers invest. 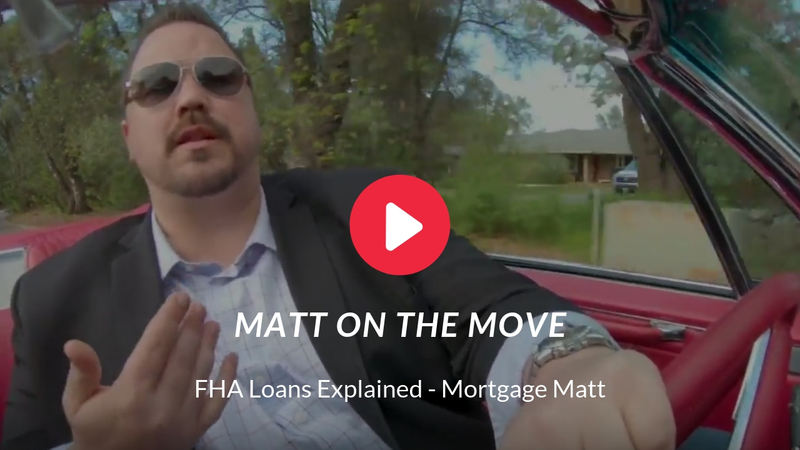 Watch the Video Below to See if an FHA Loan is Right For You. The FHA Loan is assumable. At any time a person can assume on or off the loan as long as they qualify. This means, for example, that a family member who can’t afford a home can have another family member co-sign. Later, when the primary borrower has more income, the co-signer can leave the loan without necessitating a refinance. Some FHA Loan programs only require a 3.5% down payment, making them perfect for first-time homebuyers. The down payment can also be gifted by a family member. FHA Loans have lower interest rates than conventional loans. The FHA loan may be .25% lower than conventional financing. FHA Loans can be STREAMLINE refinanced. This means that the borrower does not have to order a new appraisal to take advantage of lower rates. This is very useful in declining markets. The FHA Loan is the only loan option that will allow for Down Payment Assistance Programs. All FHA Loans have Monthly Mortgage Insurance which borrowers must pay a monthly payment on. These costs can be avoided by taking out a 15-year loan and putting 10% down, though you would still have to pay the upfront mortgage insurance premium. FHA loans have standards, called minimum property standards, that the property must meet. If the future house you’re looking at needs repairs, it may not qualify. The type of defects that could disqualify it for an FHA loan range could potentially be very small, depending on the whims of an FHA appraiser. FHA loans have limits. You can only use them to purchase property up to $271,050 in most areas of the country, though it is higher in very high property value cities. This is a monthly charge and is calculated by multiplying the loan amount by .9% and then dividing by 12 months. This is a one-time charge that gets financed on top of the loan amount and is calculated by multiplying the loan amount by 1%. Example: $200,000 x 1% = $2,000. So the total loan amount after the MIP is financed is $202,000. Megastar Financial is the provider of FHA loans Redding, CA home buyers trust. Our experts are ready to sit down with first time home buyers and help them find the right FHA loan.